You've got to be happy about that. It’s been a while since we posted a random hot Asian babe with supercar story, and when we came across these shots of a beautiful Chinese model posing with DMC’s Lamborghini Aventador LP988-4 Edizione-GT we thought: why not? 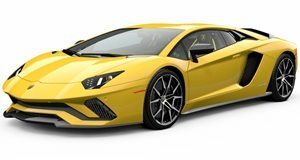 Wearing the aggressive carbon-fiber body kit, massive rear wing and bronze alloys, the Lambo boasts output of 988 hp after the 6.5-liter V12 received a pair of turbochargers. We’re keen to see what DMC has in store for the Geneva Motor Show next week, and whether its booth babes will be as host as this stunner.